The ladder of success isn’t an easy one to climb. With so many fierce competitors in the market, catching one’s attention and staying connected with a potential customer can be a huge challenge. 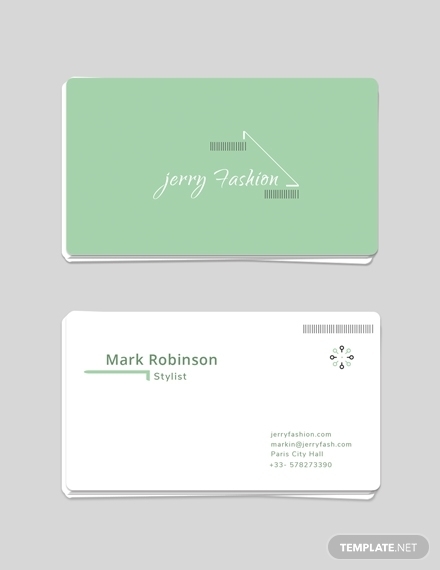 What you need is a business card that can really a pack a punch. To encourage prospects to find out more about who you are and what you do, you need to design a card that is simple and easy to understand. 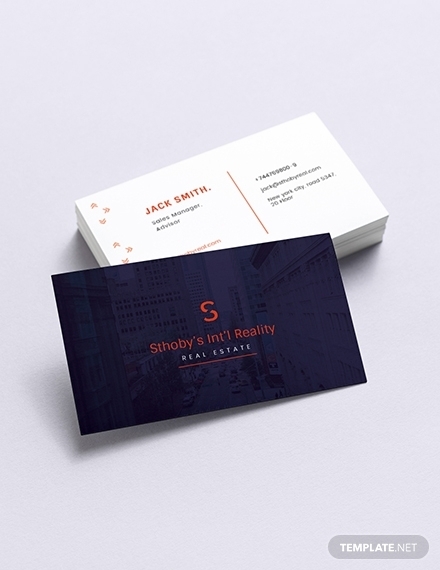 We’ve provided a few tips and techniques that will help you portray your company in a professional light through a good business card design. 1. Typography: Other than the details printed on the card, your typographical choice can affect the way information is conveyed to readers. Traditional lettering can radiate a sense of formality and sophistication, while something more vintage and fun can add a stylish flavor to the card. There are a lot of important decisions to make, so be sure to do a little research to gain insight on what to use. 2. Logo: The logo design of your organization plays a key part in branding. What you need is a strong, effective logo that will give your audience a general feel of your business. 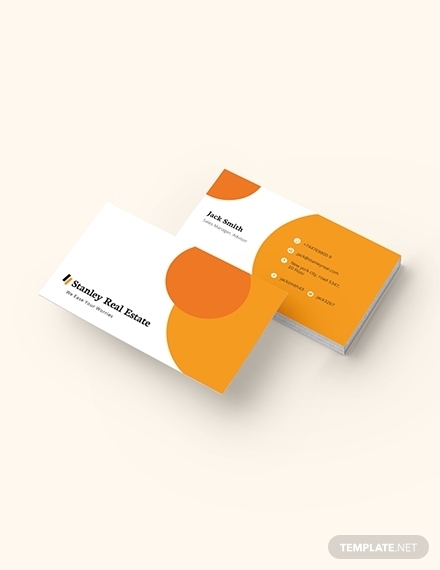 Branding experts believe that adding a company logo to your business card will help you make a trademark for yourself through visual representation. It should leave a lasting statement that clients will remember, long after your encounter. 3. Paper: Some business owners forget how important it is to pay attention to every single detail of their stationery. In many fields, the choice of a better paper can greatly affect the perceived quality of the finished product. 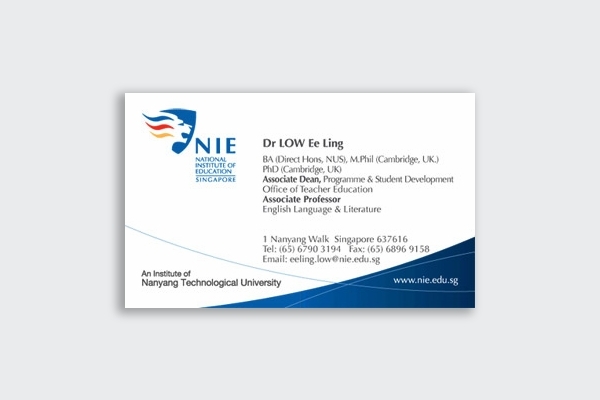 It has the ability to ignite our sense of touch and influence our perception towards the business card and the entity behind it. 4. 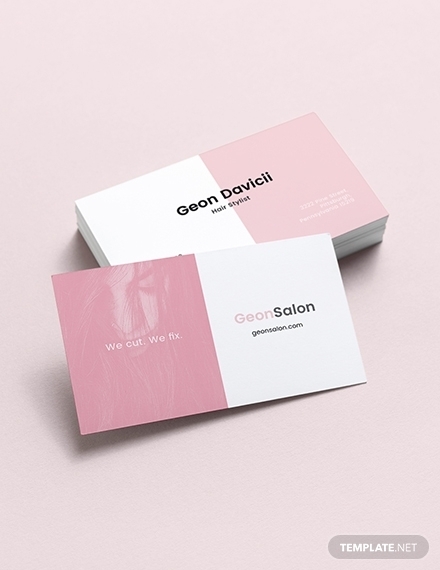 Creative Layout: Unlike poster designs and advertising brochures, the creative space on a business card is fairly limited. 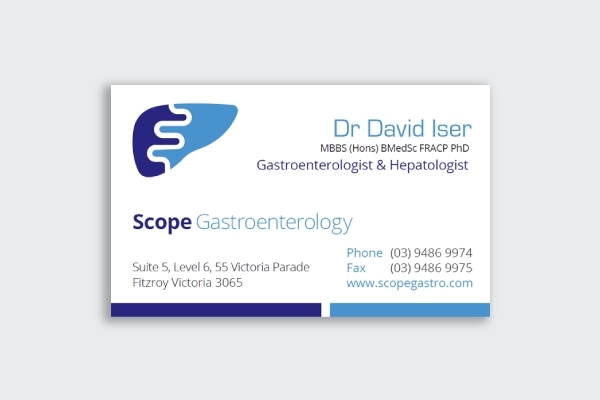 How you decide to apply texts and graphics to your business card may affect its readability and impact on viewers. As a result, finding the right balance between elements is essential to your composition. 5. 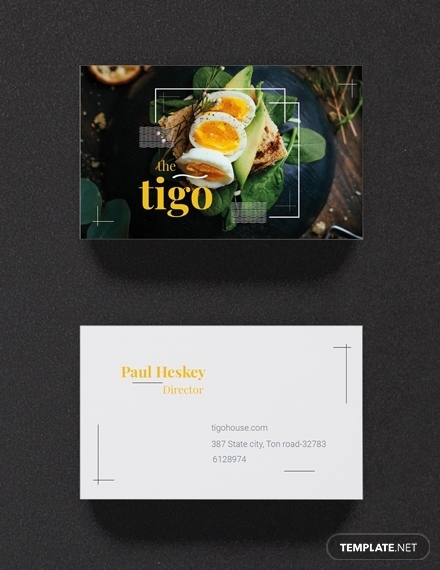 Shape: Though we have become accustomed to the standard shape of a business card, rectangular cards have slowly evolved into unique shapes and cut-outs that reflect a designer’s wild imagination and creative taste. This allows you to engage the mind and the eye of viewers in an attempt to stand out from the rest of your competitors. 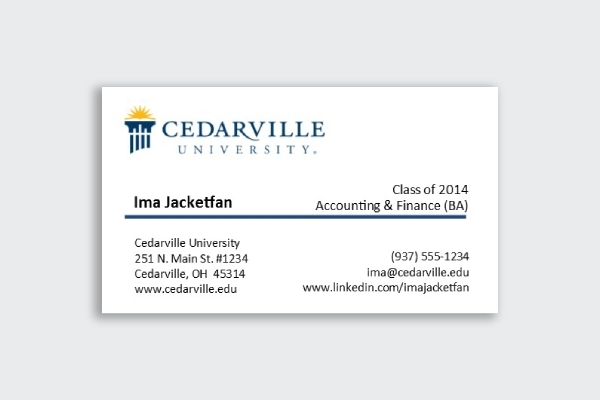 You may also see marketing business card examples. 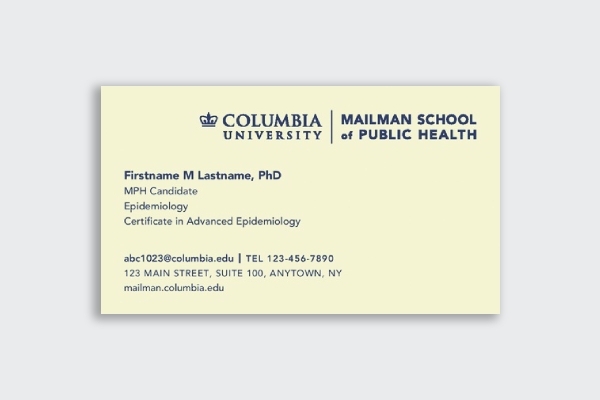 Answer common questions: It’s no surprise that business cards can only hold a limited amount of information. Given its size, you need to focus on important details only. This includes a business logo and name, your name, title, contact information, website address, social media handles, and company tagline. This should inform readers of what your business sells or does. Pay attention to visual content: Pictures often speak louder than words. This doesn’t mean you have to look for a visual alternative to your written content, but perhaps its time to start using icons and illustrations along with your copy. 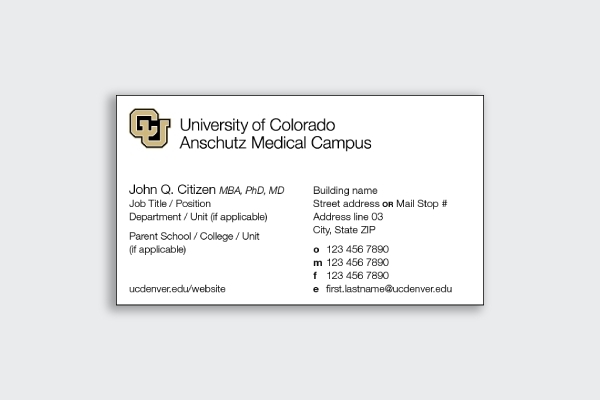 You could also use the extra space to display an image of your signature product, or something closely related to your business. 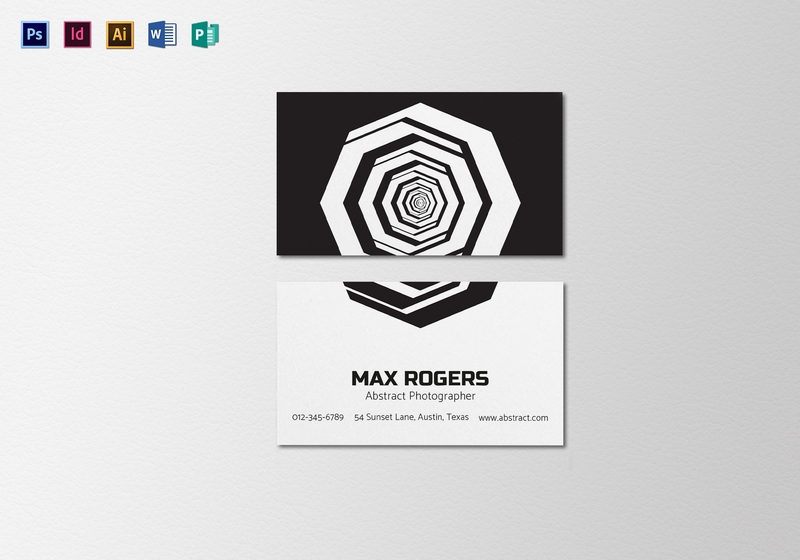 You may also see designer business card examples. 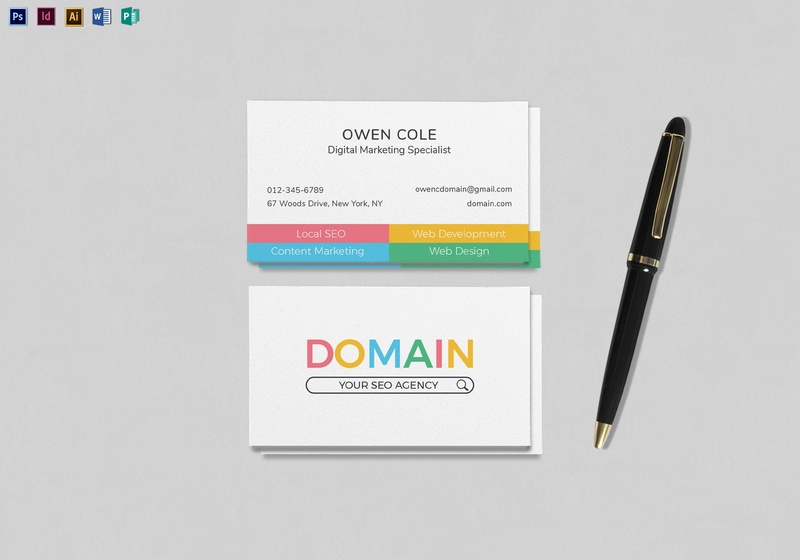 Apply colors carefully: The use of color can be quite tricky in the world of marketing. 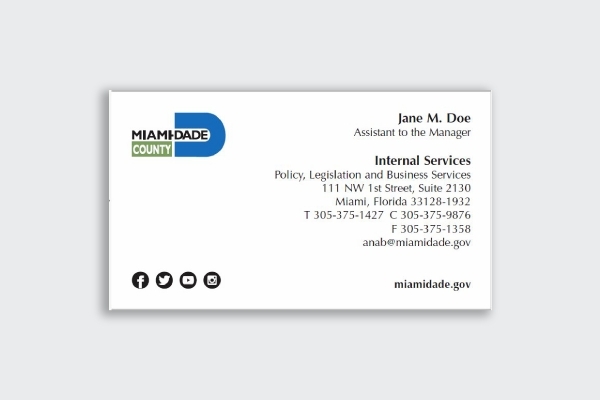 While colors tend to make a business card look vibrant and distinctive, poor color choices can also distract readers from the main text. You need something fresh and exciting, without underestimating the power of simplicity. 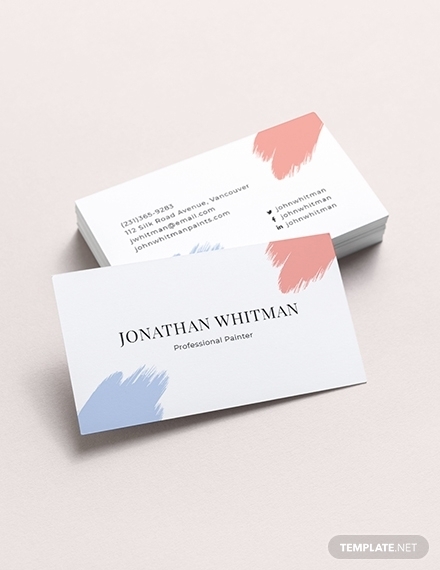 A minimalist business card, for example, is just as memorable as a colorful card. 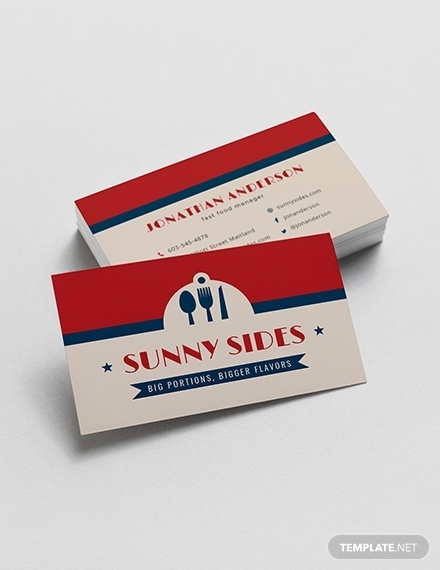 Make sure it’s appropriate: Design a card that is appropriate to the type of business you run. 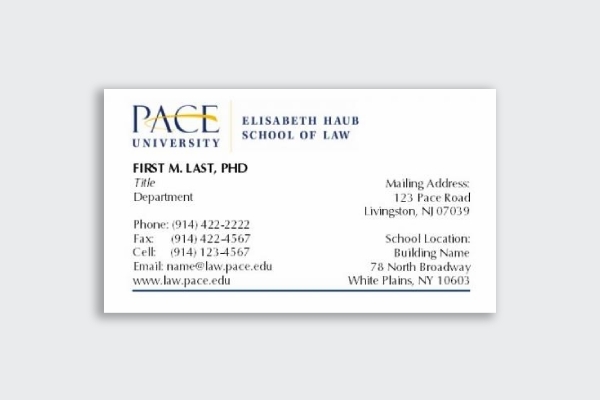 Lawyer business cards usually have a subdued design because of the nature of the field. Those in the creative business, on the other hand, can turn the card into a portfolio of their work. 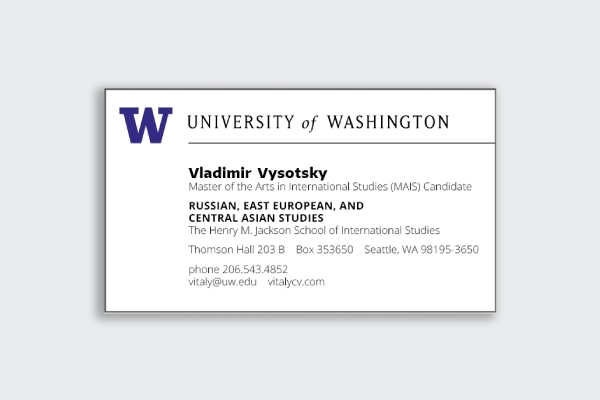 The elements on the card should be significant and relevant to the card’s intent. Include a QR code: While this may not be necessary, it’s a cool trick to link your printed content with your online content. 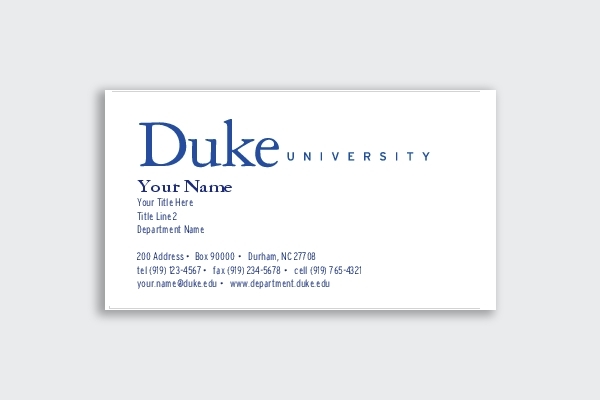 The space on a business card might not be enough to introduce your company to prospects. So to provide more information about what you have to offer, direct clients to your website through a QR code. 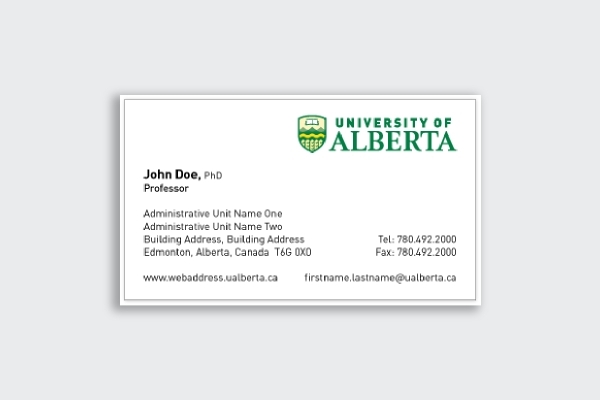 A modern business card is sure to attract and engage your audience with the least amount of effort required. 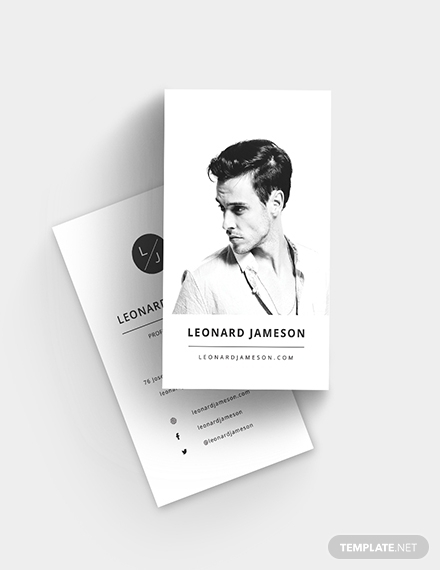 If you’re looking to make a radical statement of your creativity and uniqueness, crafting an effective business card is a must. This allows you to communicate with prospects and maintain solid relationships with long-time customers. So what are you waiting for? 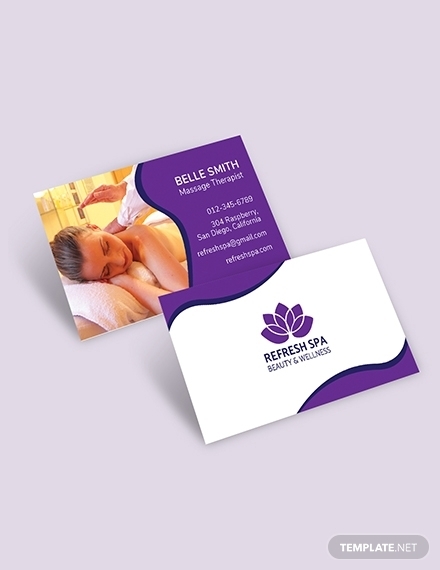 Leave a lasting impression with a stunning business card today!